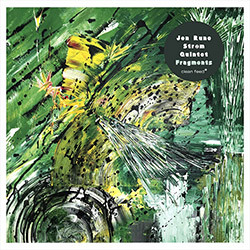 Leveraging influences in improvisation and contemporary compositional music, Belgian/Oslo pianist Jonas Cambien, a member of Simiskina and Platform, extends his own trio of saxophonist Andre Rolighete and drummer Andreas Wildhagen with trumpeter Torstein Lavik Larsen on 2 tracks, as they balance jazz, avant, free improv and other hybrid forms in a compellingly creative album. Playing both upright & electric bass and doubling that with 2nd bassist Christian Meaas Svendsen, Jon Rune Strom leads his quintet of young Norwegian players--trumpeter Thomas Johansson, saxophonist Andre Roligheten, and drummer Andreas Wildhagen--for a live set at one of Norway's premiere jazz clubs, Nasjonal Jazzscene, for a jazz album of powerfully expressive free playing. 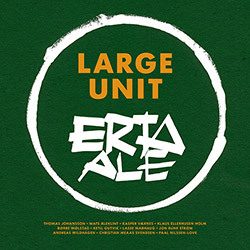 The 3rd album from Norwegian drummer Paal Nilssen-Love's big band Large Unit, here in a 12-member configuration, adding saxophonist Kristoffer Berre Alberts (Starlite Motel, Cortex) to the band, in an album centered on Nillsen-Love's penned title track "Fluku", and the equally impressive "Playgo", large complex works that showcase the group's collective and individual voices. 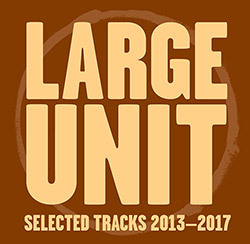 An excellent introduction to Norwegian percussionist and composer Paal Nilssen-Love's big band, Large Unit, through tracks showing the breadth of the band's ability in game pieces, ballads, a collaboration with Brazilian percussionists, live recordings from their 2015 North American tour and at Moers festival in Germany, and their first concert at Molde Jazzfestival in 2013. 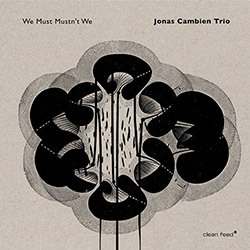 With a list of projects including Shagma, The Core, Zanussi 5 and Mopti, the trio of Jorgen Mathisen (sax), Christian Meaas Svendsen (bass) and Andreas Wildhagen (drums), "Momentum" is an apt name for their uniquely building, unpredictable and atypical improvisations. 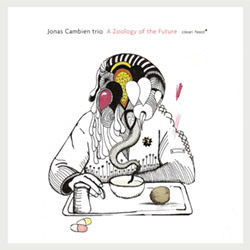 Belgian pianist based in Oslo, Jonas Cambien's Trio with Andre Roligheten on reeds and Andreas Wildhagen on drums, in an album of unique compositions using simple ideas yielding complex improvisation & dialog, named for the Dougal Dixons book "After Man: A Zoology of the Future". 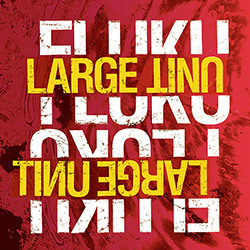 Drummer Paal Nilssen-Love's Large Unit recorded this ecstatic, Brazilian influenced material in 2015 after a mammoth European and North-American tour, hours after their performance at the 2015 Oslo Jazzfestival with an extended line-up with Brazilian percussion players. 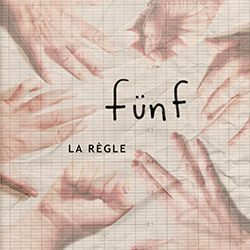 Sporadic sonic exchanges exploring guidelines, graphic scores, or completely improvised, with an expansive instrumentorium from the sextet of Magali Babin, Andrea-Jane Cornell, Martine H Crispo, Anne-Francoise Jacques, Emilie Mouchous, and Erin Sexton. 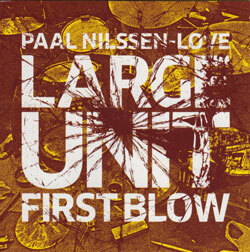 Paal Nilssen-Love's Large Unit of some of Norway's brightest young improvisers in a 4 LP box set with a bonus CD & flexi disc, recorded live during their 2014 tour, performing Nilssen-Love's compositions that focus on interaction, free improvisation, sound, dynamics and energy. 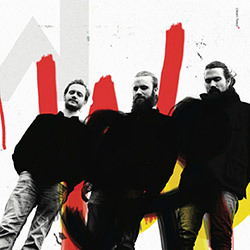 Paal Nilssen-Love's Large Unit of some of Norway's brightest young improvisers in a solid 3-CD box set recorded live during their 2014 tour, performing Nilssen-Love's compositions that focus on interaction, free improvisation, sound, dynamics and energy. 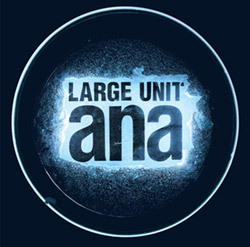 Norway's younger generation of improvising musicians, acoustic and electronic, perform in percussionist Paal Nilssen-Love's Large Unit from their first EP, a live recording from Molde Jazzfestival 2013.